VertiGrain 2 Grey garden decking is a stylish composite wood product with a grained surface that makes it look just like natural timber. Ultra-modern and super stylish, these grey boards have a muted simplicity that looks particularly striking against modern buildings. 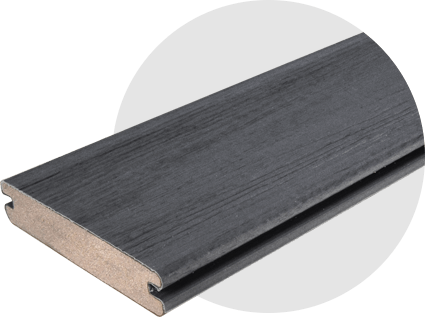 While our VertiGrain 2 Grey boards have all the beauty of real wood, they have none of the corresponding maintenance requirements – they don’t need to be stained or oiled, and they’ll never crack or splinter like some other products. 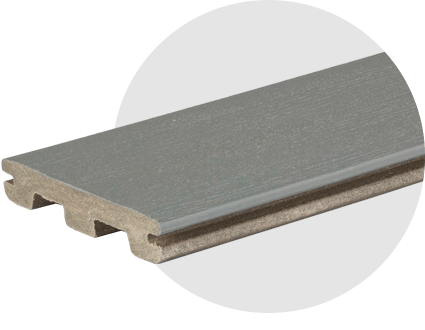 Furthermore, our special CONCEALoc® system means that the deck’s fixings are completely invisible, so you also get a seamless finish. 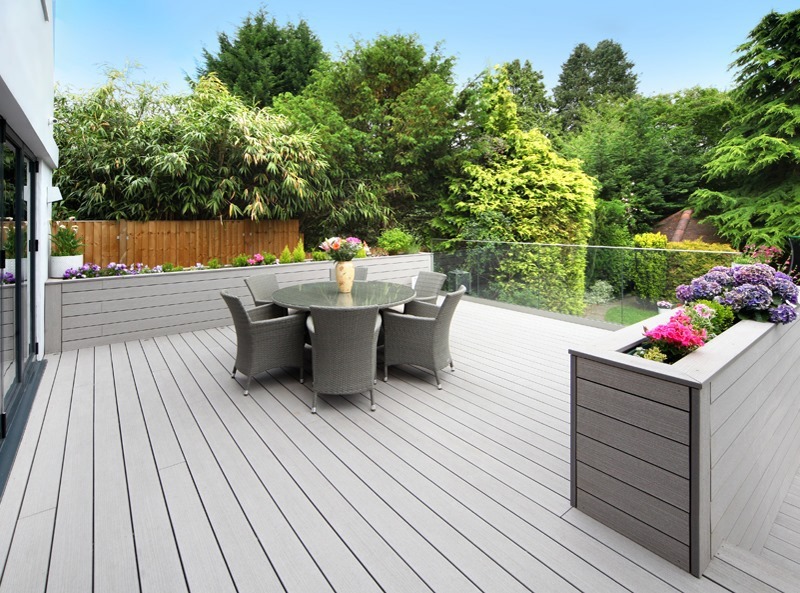 If you’d like to give your grey garden decking a spectacular finishing touch, we recommend utilising a cable rail or glass balustrade system for a really sleek, modern look. 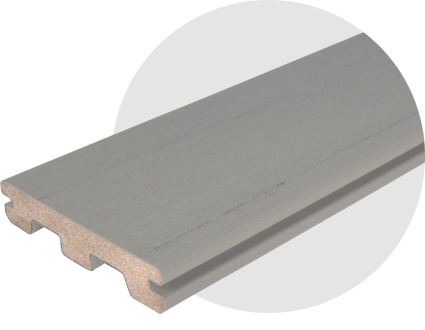 Alternatively, try our White RadianceRail with integrated deck lights for a taste of modern chic. 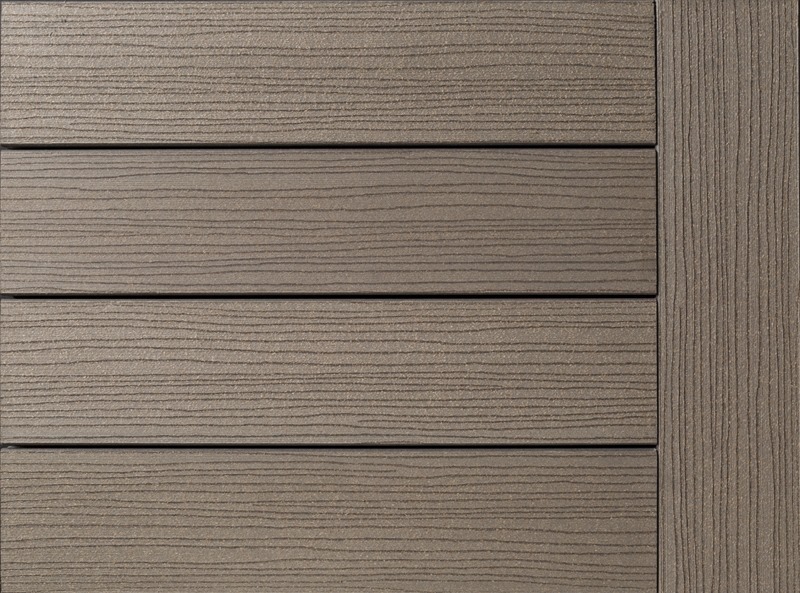 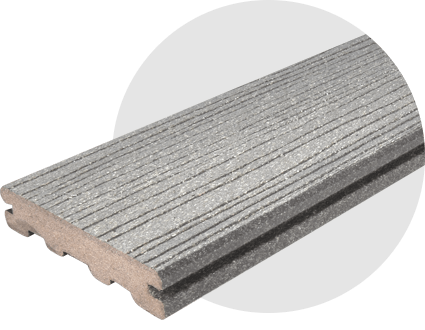 Click here to find out more about our VertiGrain 2 decking range. 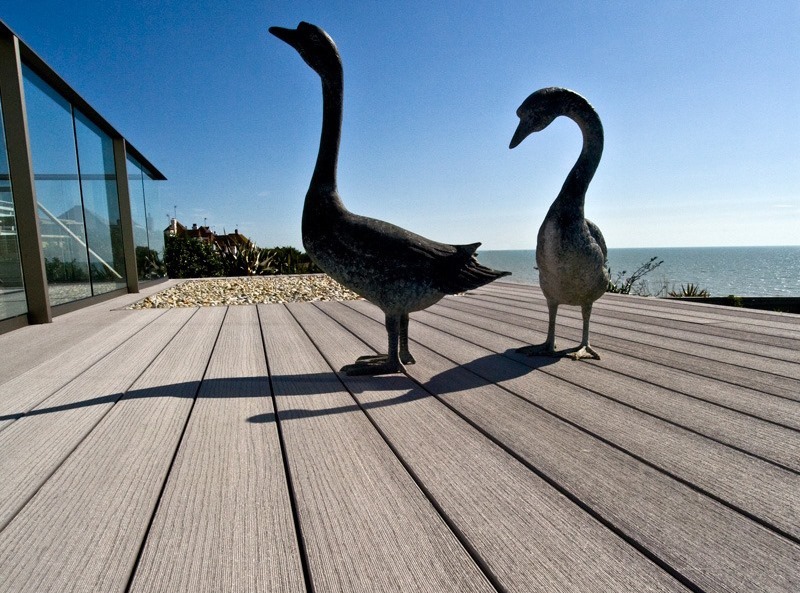 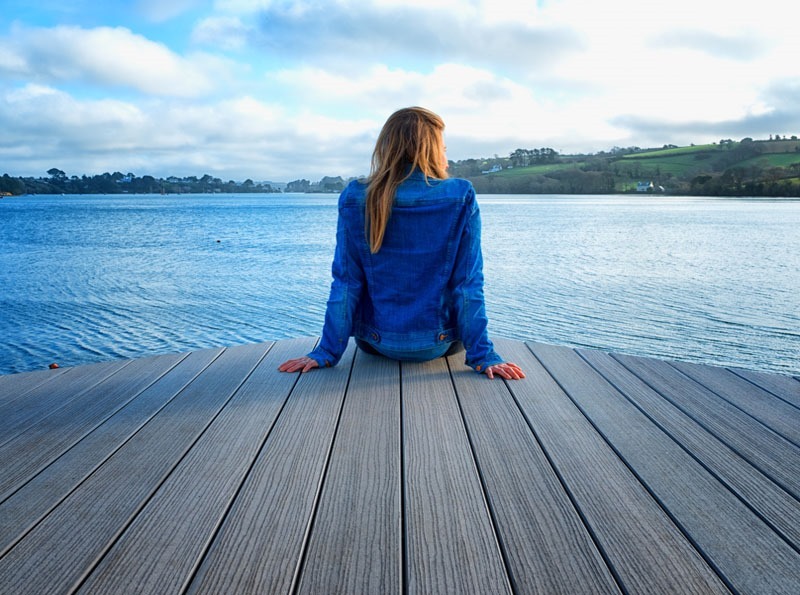 Remember, you can order 2 free samples of TimberTech decking to help you make up your mind.